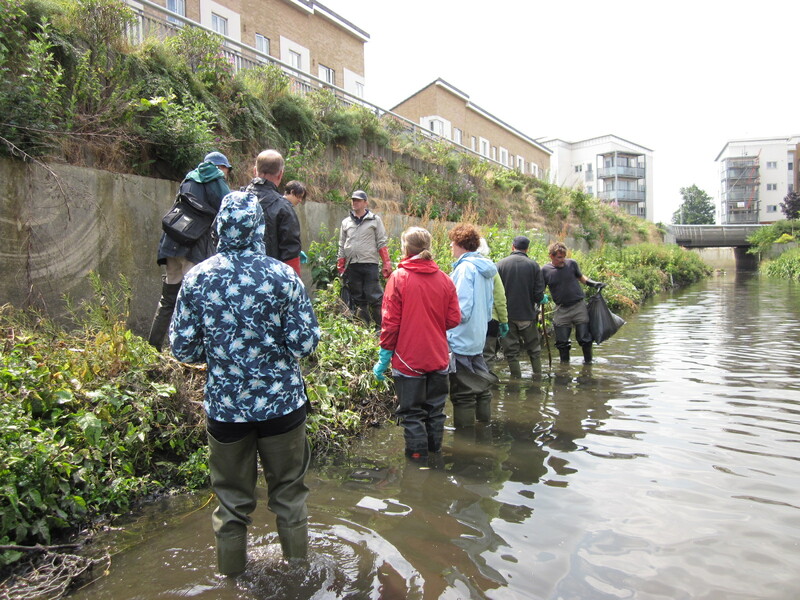 On a rainy Saturday morning a merry bunch of volunteers waded in the River Ravensbourne to clear the litter and pull up Himalayan Balsam. Suprisingly there was very little litter and not very much Balsam. 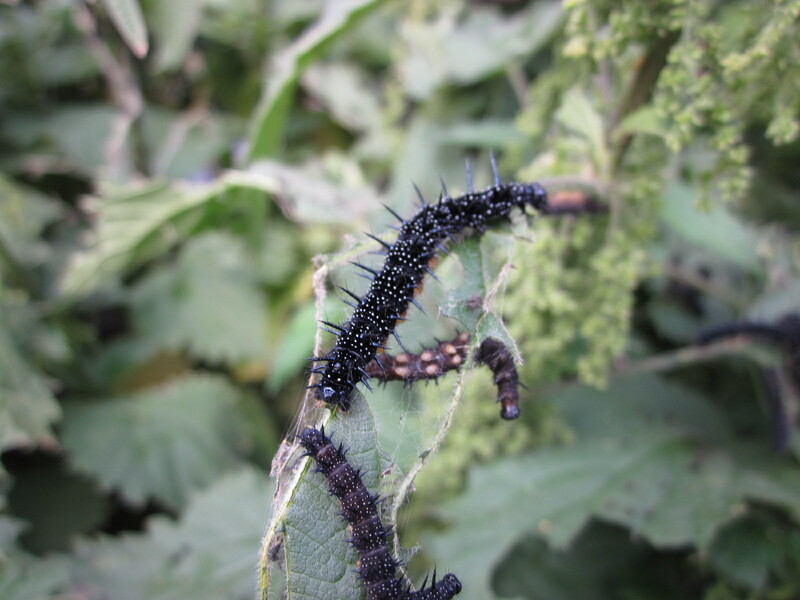 We did find some interesting catapillas though on the way. 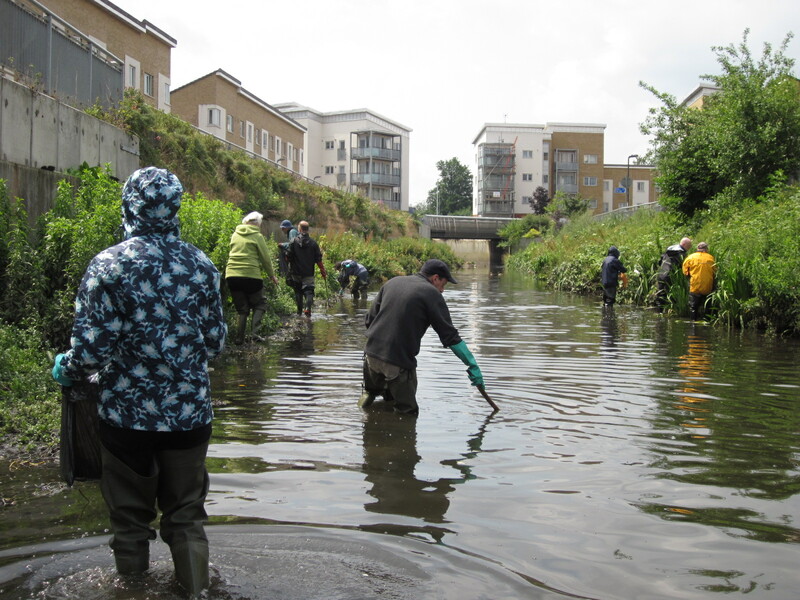 This clean up was part of a wider event called the 3 Rivers Clean Up in which a number of local organisations took part and helped to clean the Rivers Ravensbourne, Pool and Quaggy. The event lasted 15 days and inclued local volunteers, schools and faith groups. 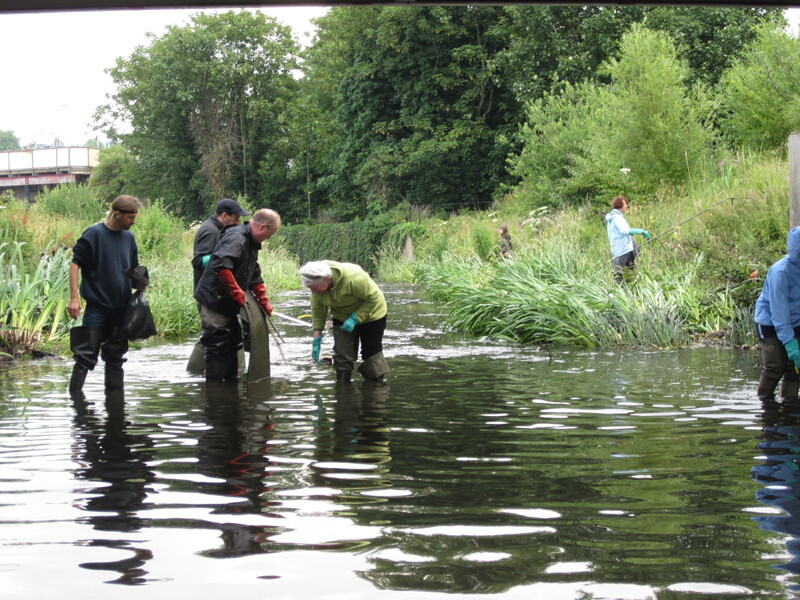 This is the third year that the 3 Rivers Clean Up has run, and it is definately making a difference. To view more photos of this years event please visit our Flickr site where you will also find photos of last years very successful event.